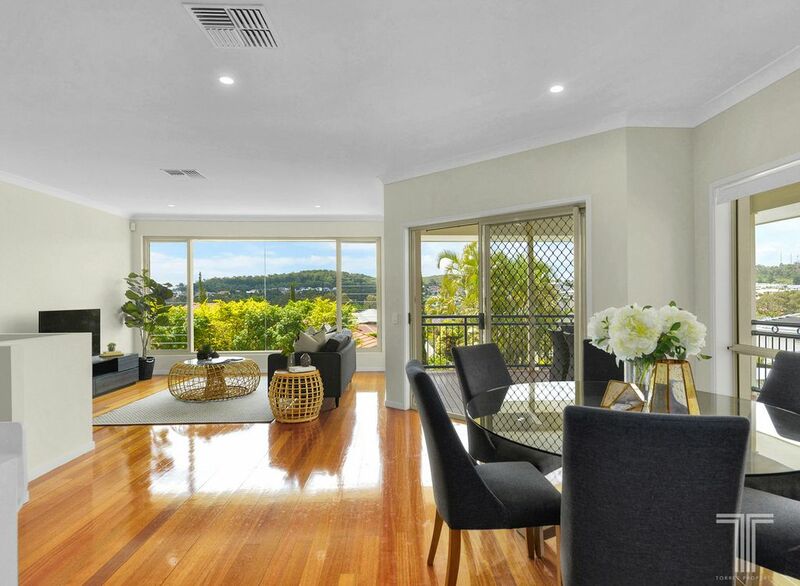 Presenting an abundance of entertaining space, this immaculately presented home boasts a wonderful position and elevated treetop views. 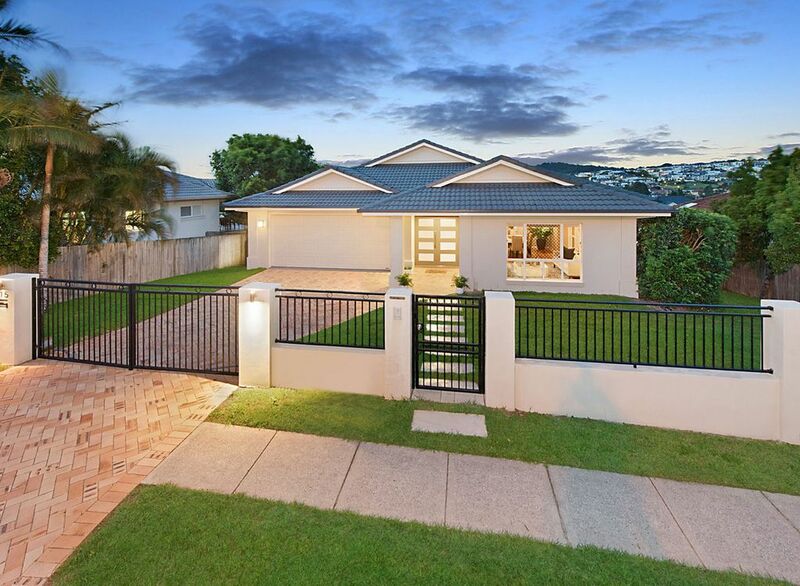 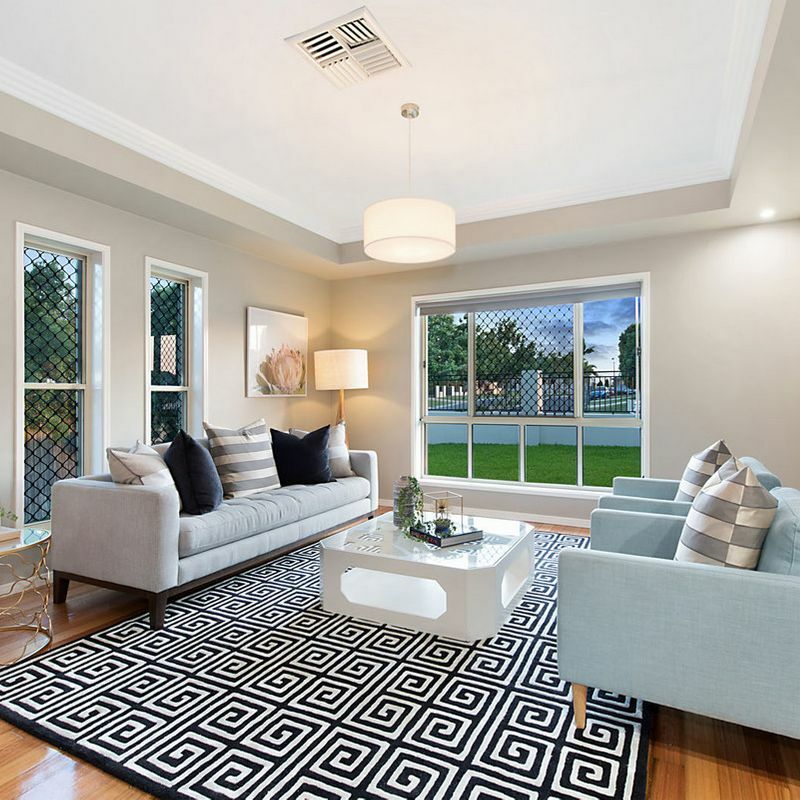 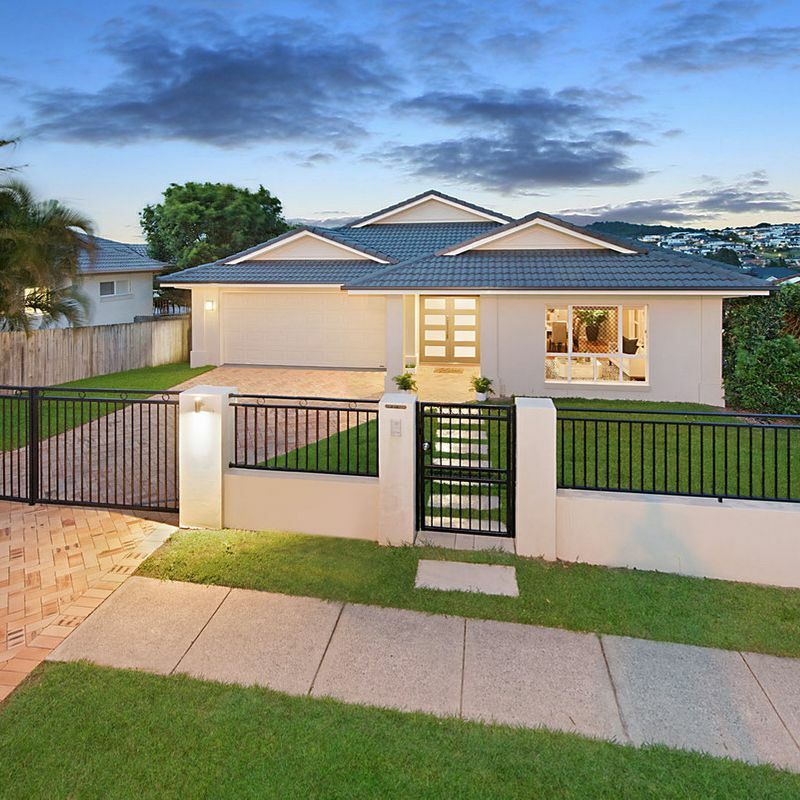 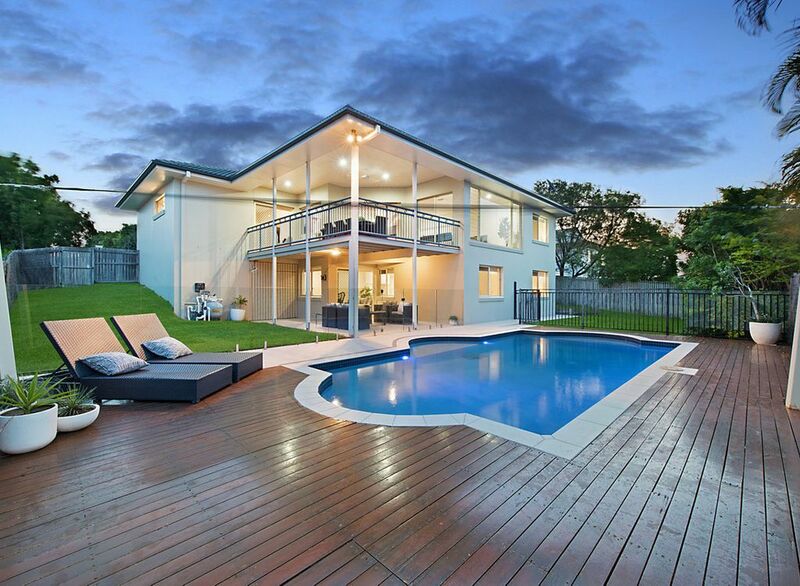 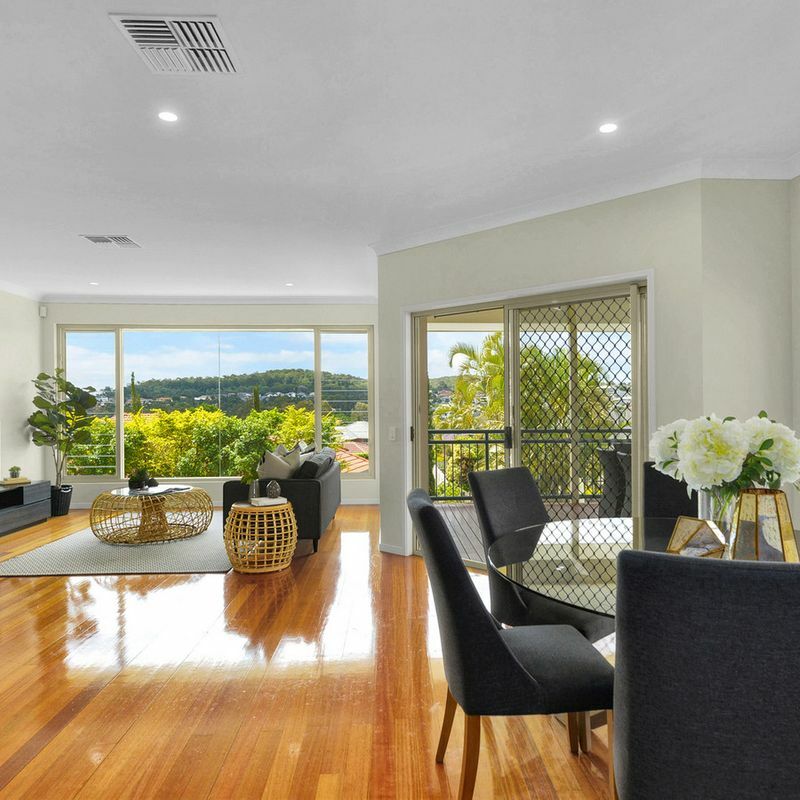 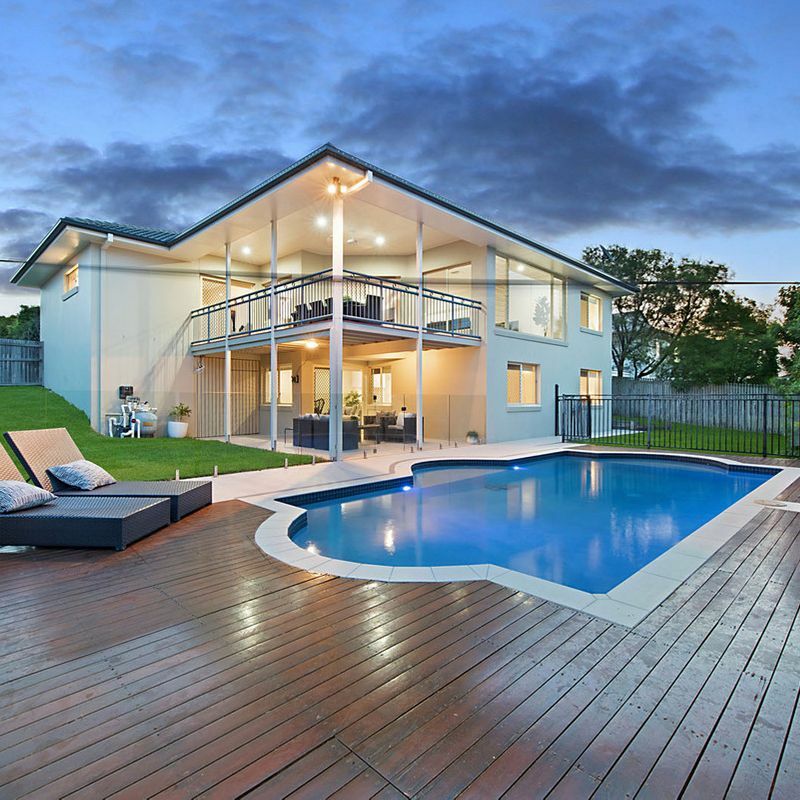 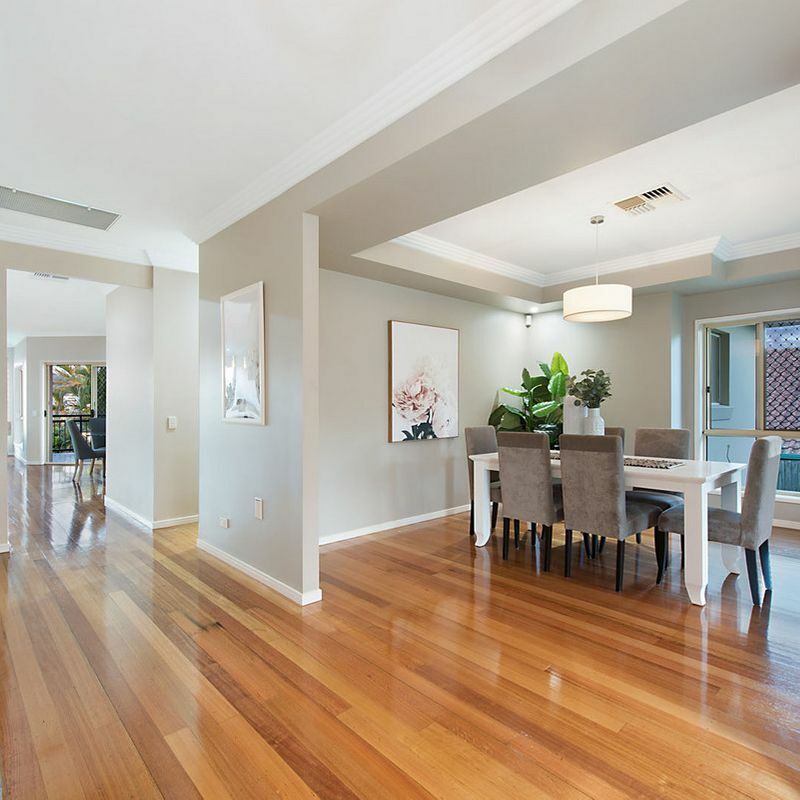 Once inside the impressive entrance, this stunning split-level home ticks all the boxes. 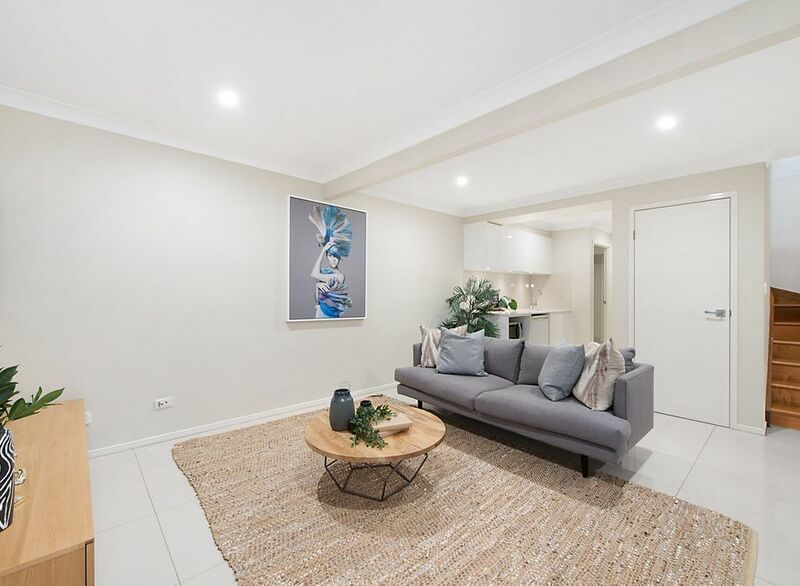 In an exclusive pocket of Carindale, walking distance to Citipointe and situated within the highly desired catchment of Mansfield State high school, this home has it all, including dual Living potential. 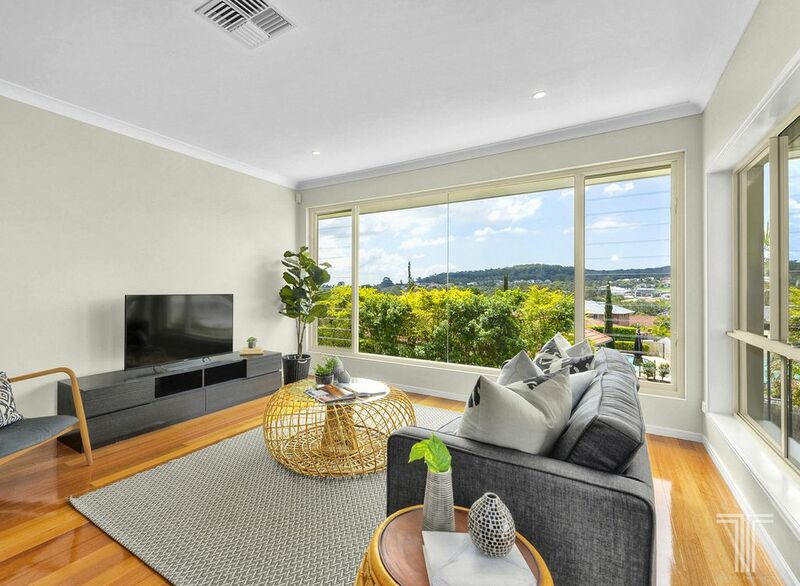 Spanning two spacious levels on a private fully fenced 748sqm block, the upper level is adorned with polished Crow’s Ash timber floors, 9ft ceilings and two separate living areas. 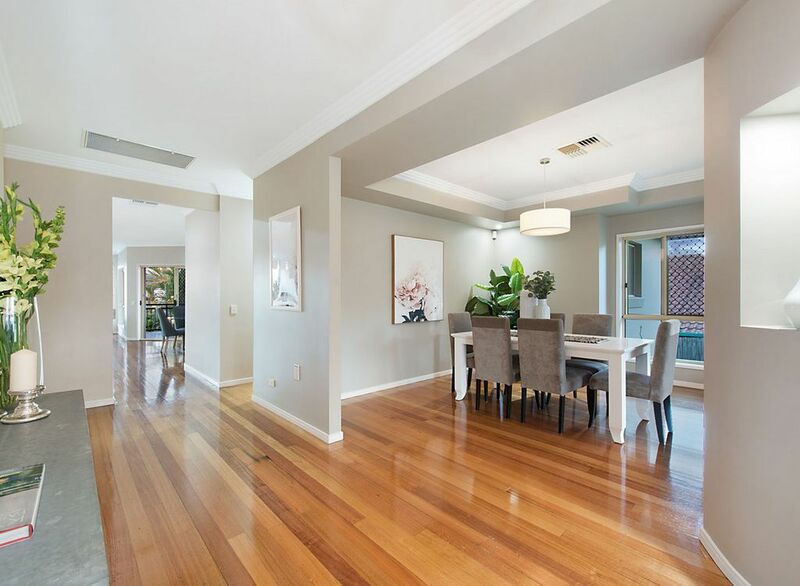 Located off the entry, the formal lounge and dining room is perfect for parents or special occasions. 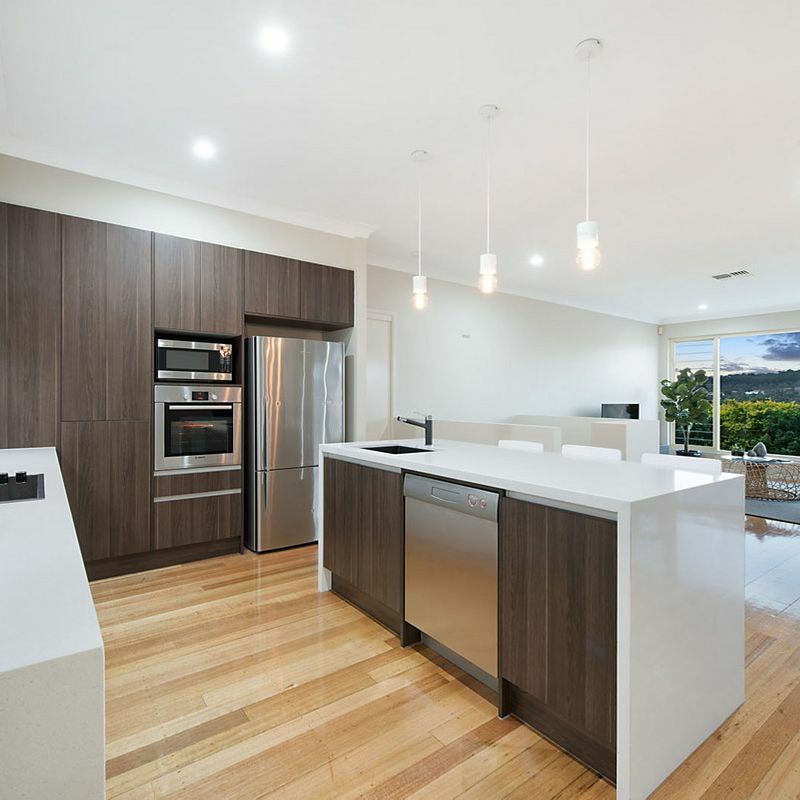 Offering a more relaxed setting and open in design, the informal living and dining space adjoins the modern kitchen, capturing fabulous views and light and refreshing breezes. 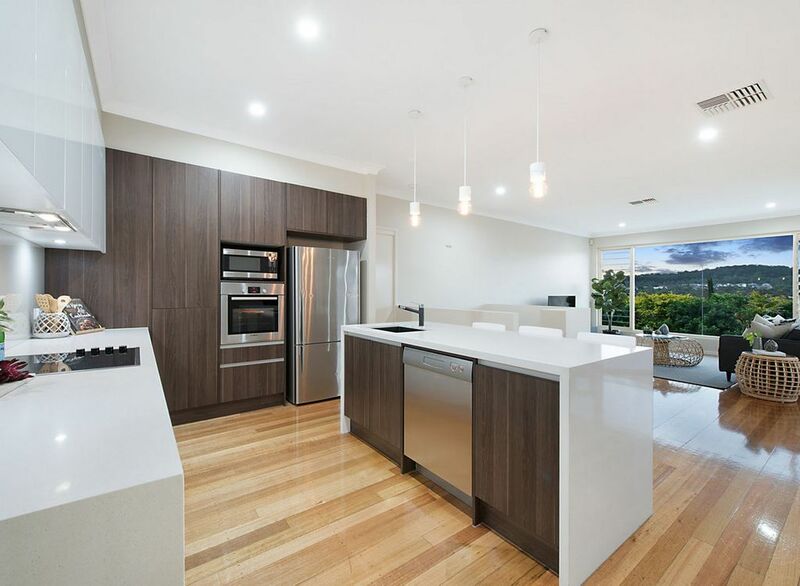 Sleek, stylish and exceptionally functional, the gourmet kitchen was designed for executive living and boasts crisp white stone benchtops, island bench with breakfast bar, quality appliances including Bosch oven and stove top, black Blanco sink and tapware and a suite of soft close cabinetry. 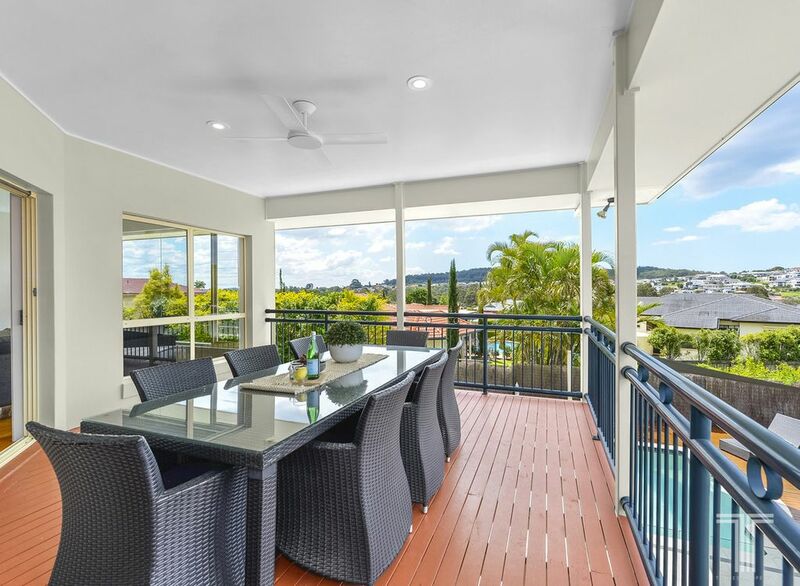 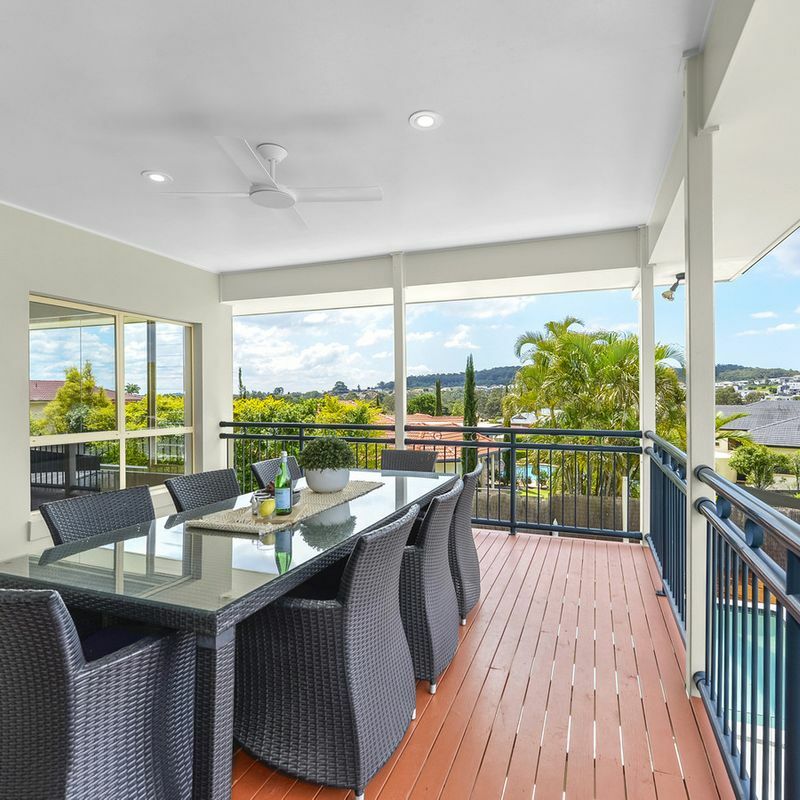 Extending off this central living space, the north facing entertainer’s deck captures further majestic district views and creates a picture-perfect setting for hosting guests. 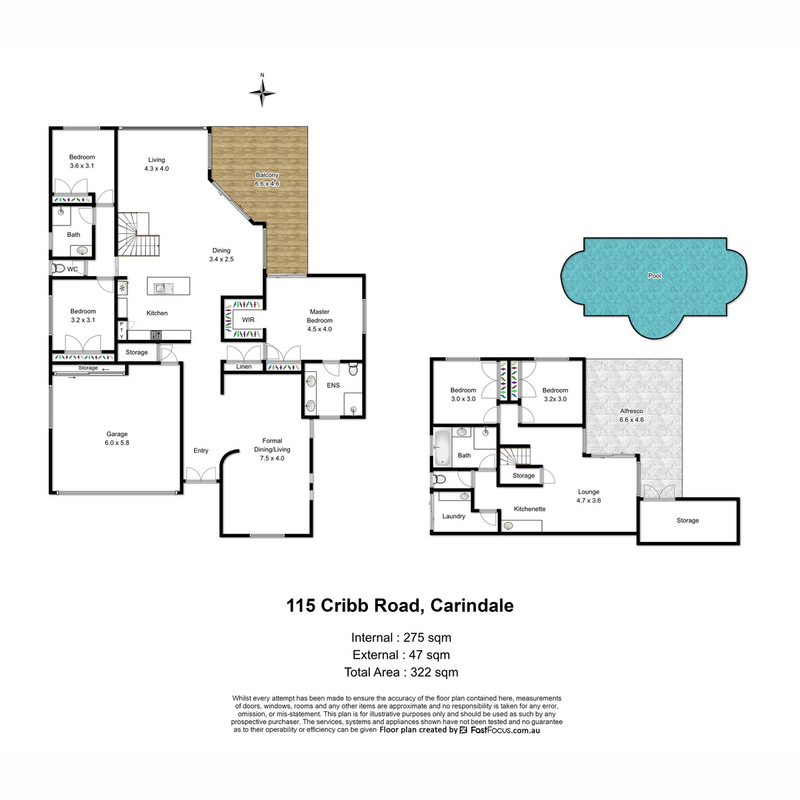 Completing this floor, the spacious master suite enjoys balcony access, walk-in robe and ensuite with dual vanities, while a further two bedrooms with built-in robes share access to the main bathroom. 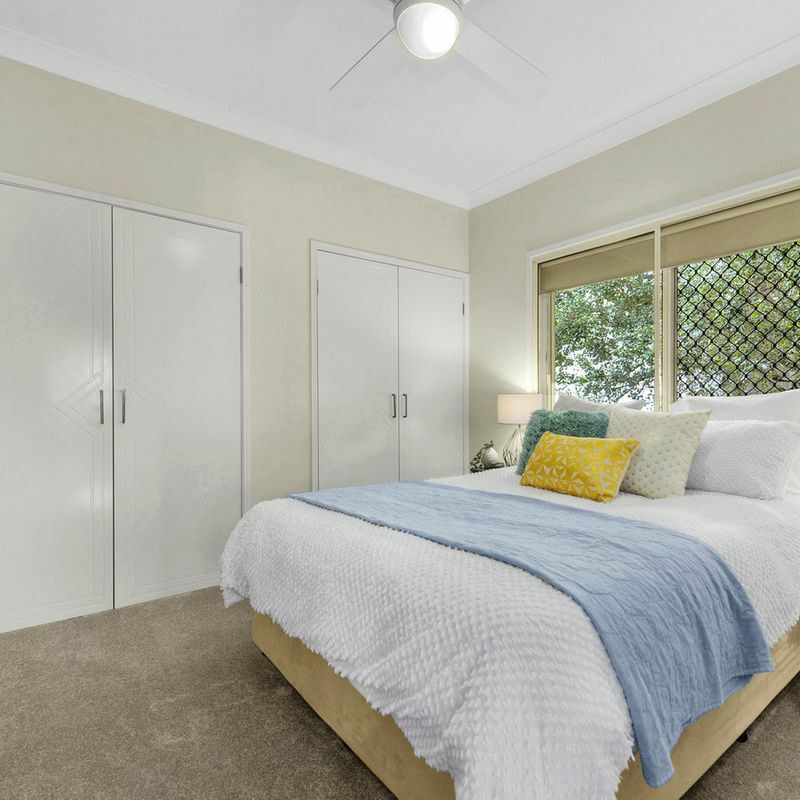 An ideal layout for those seeking their own space and perfect for dual living, the ground floor hosts a large rumpus room with adjoining kitchenette, two additional bedrooms and third bathroom. 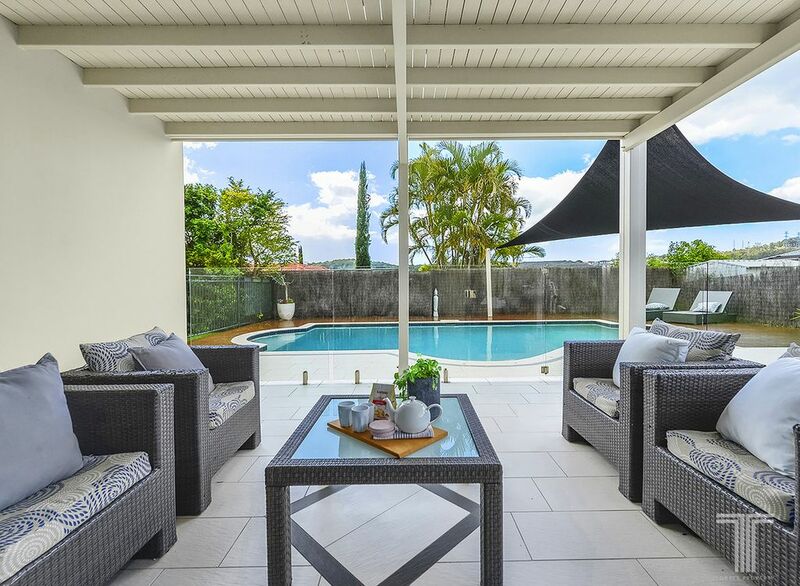 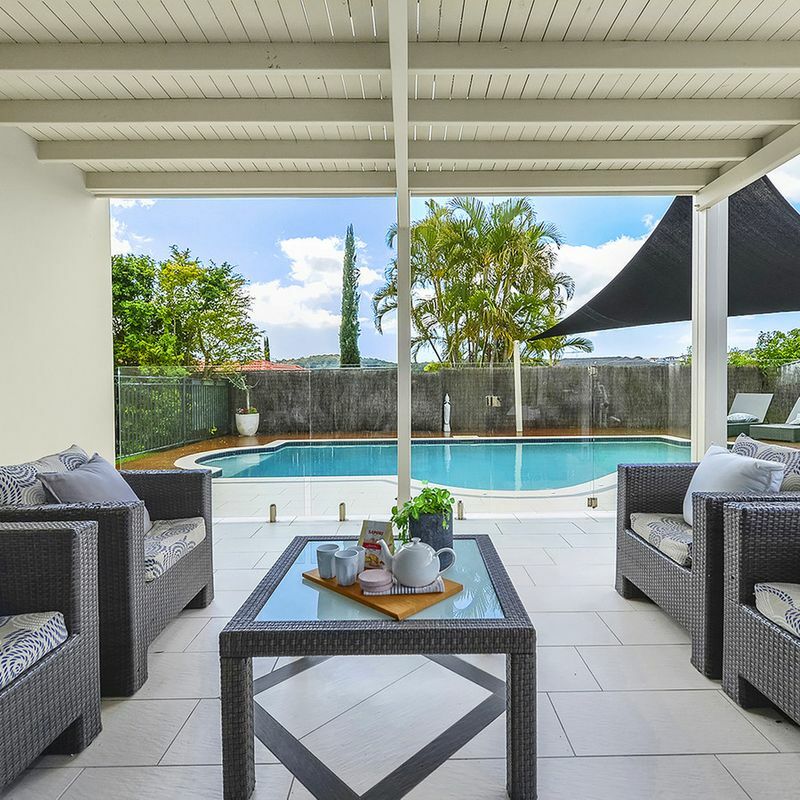 Extending out via sliding doors to the alfresco entertaining area, family and friends can unwind here and enjoy the sparkling glass framed pool with lounging deck and grassy backyard. 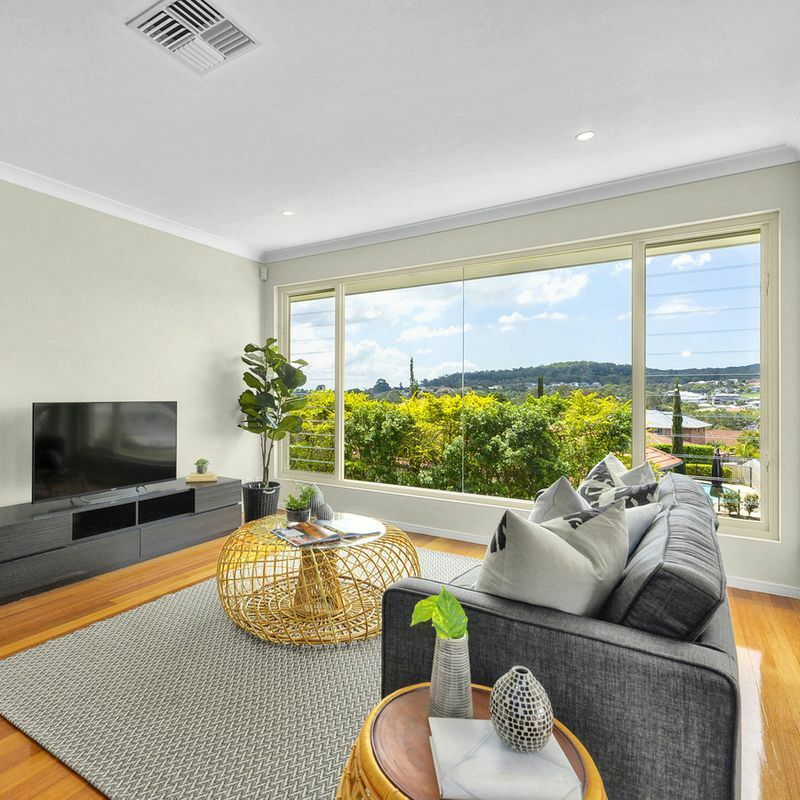 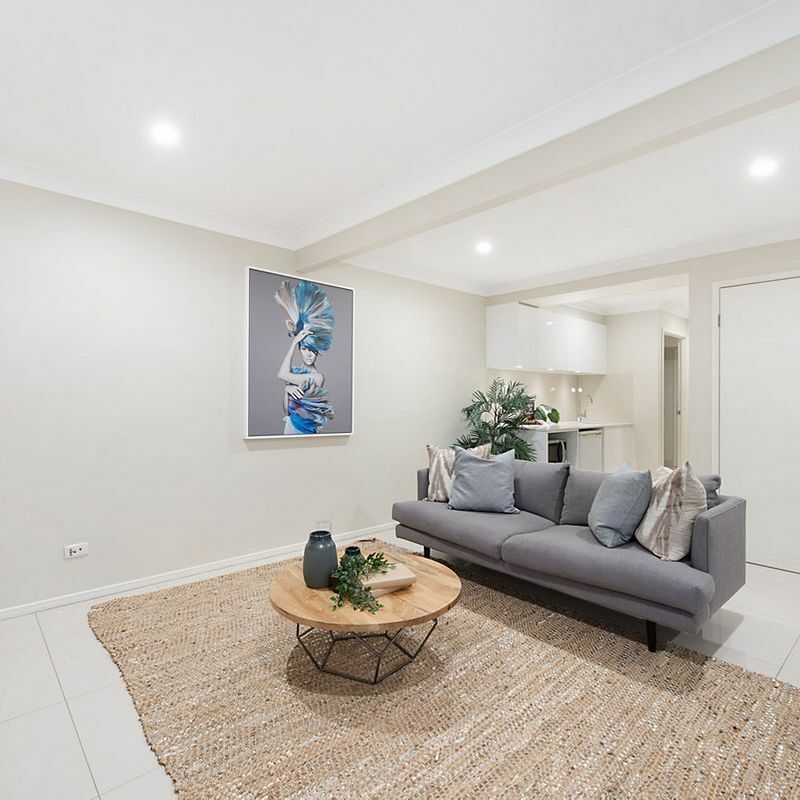 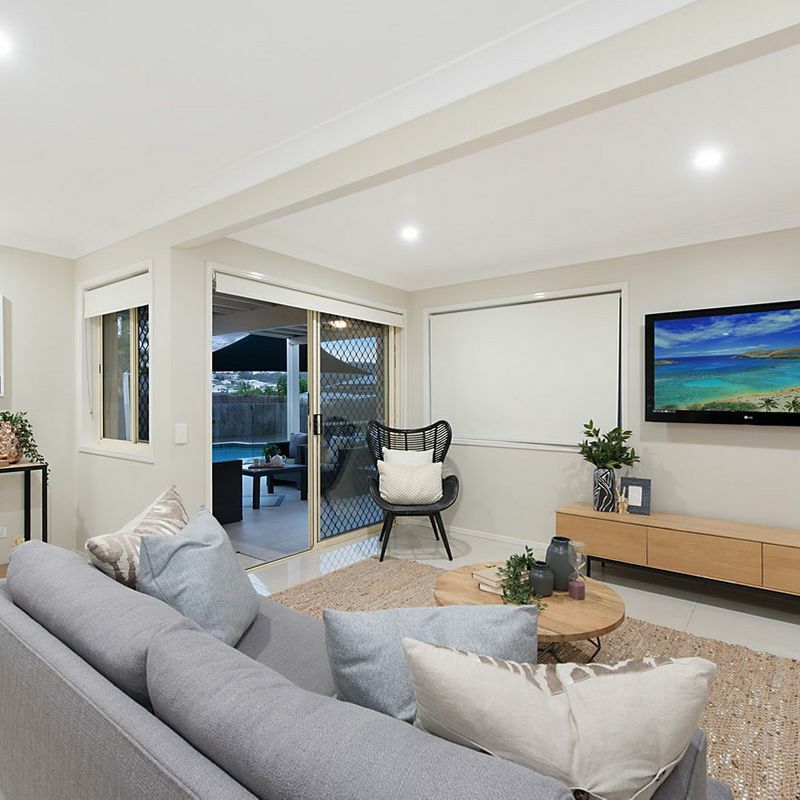 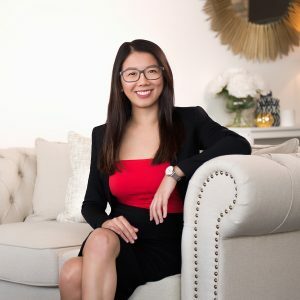 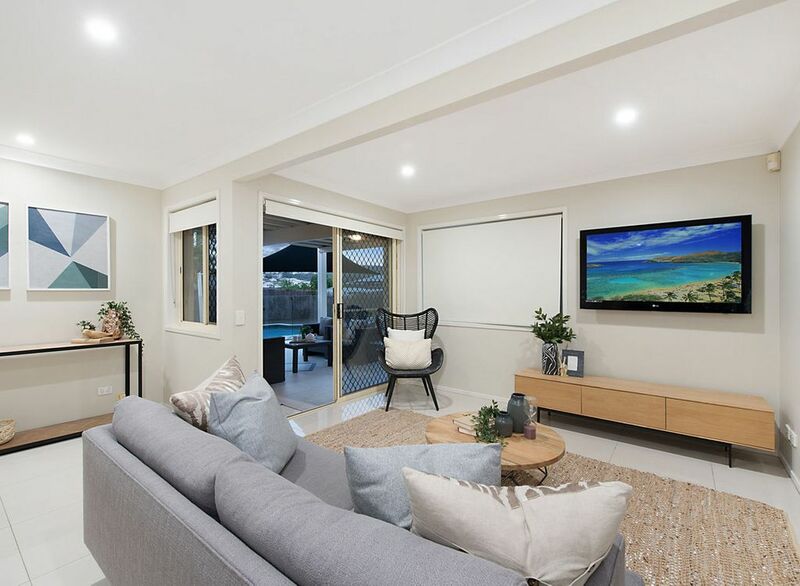 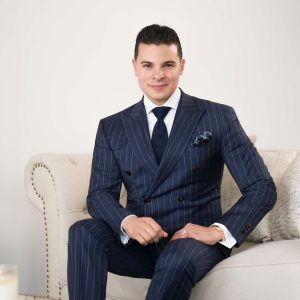 This exclusive enclave offers the most discerning families an abundance of lifestyle features including cafes and restaurants, shopping at Westfield Carindale, or a round of golf at the Pacific Golf Club. 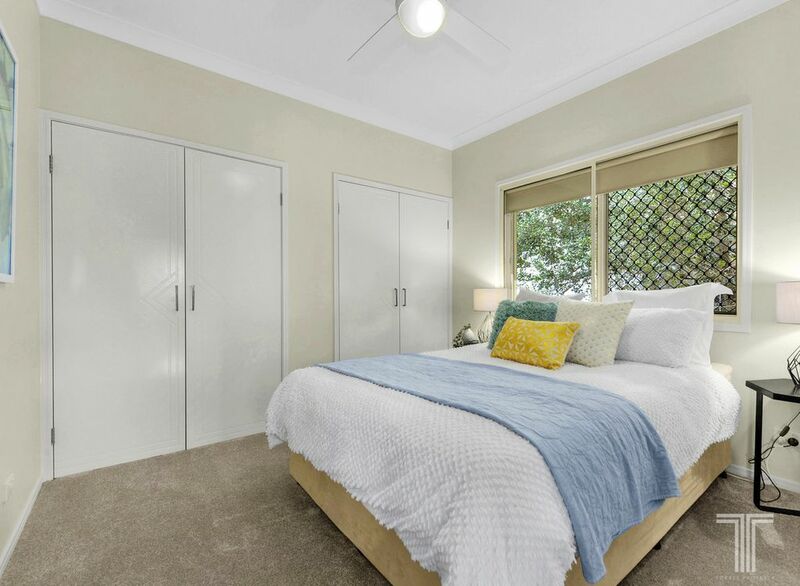 Beautiful parks, walking tracks and the friendly dog park are all within close proximity. 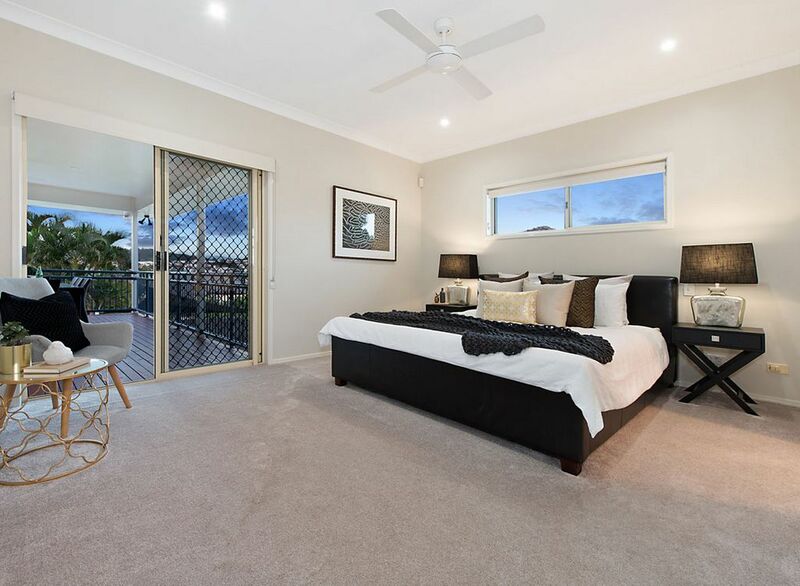 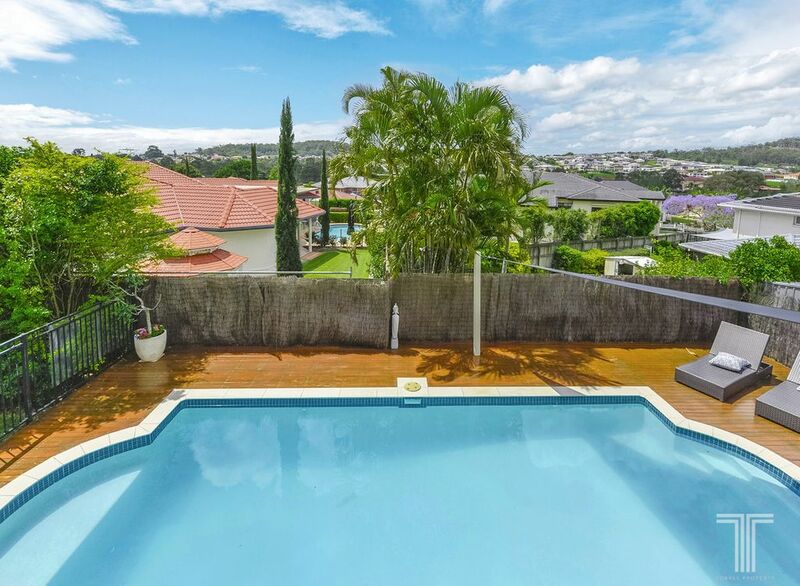 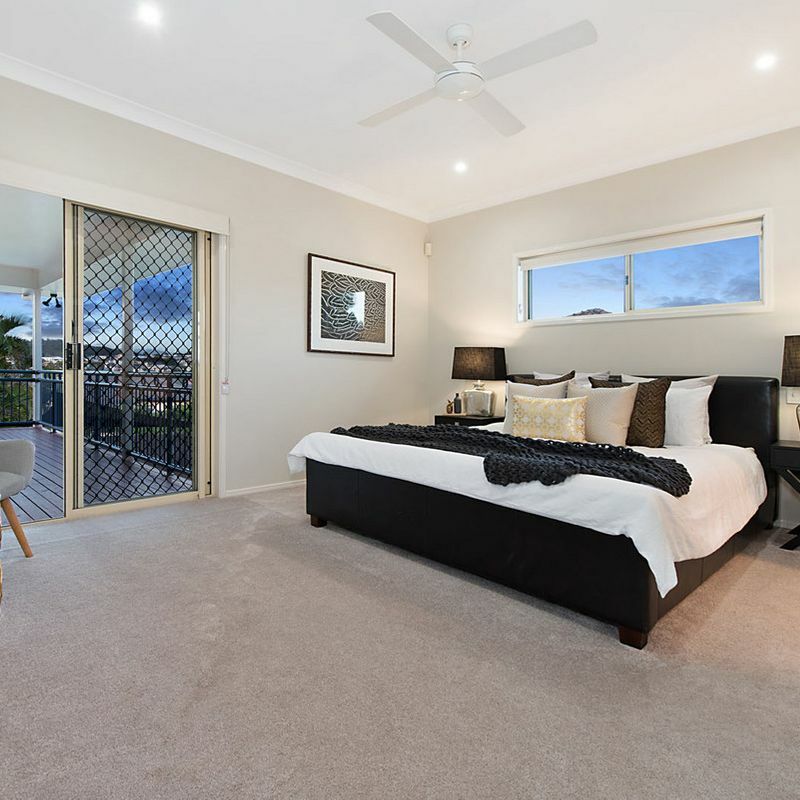 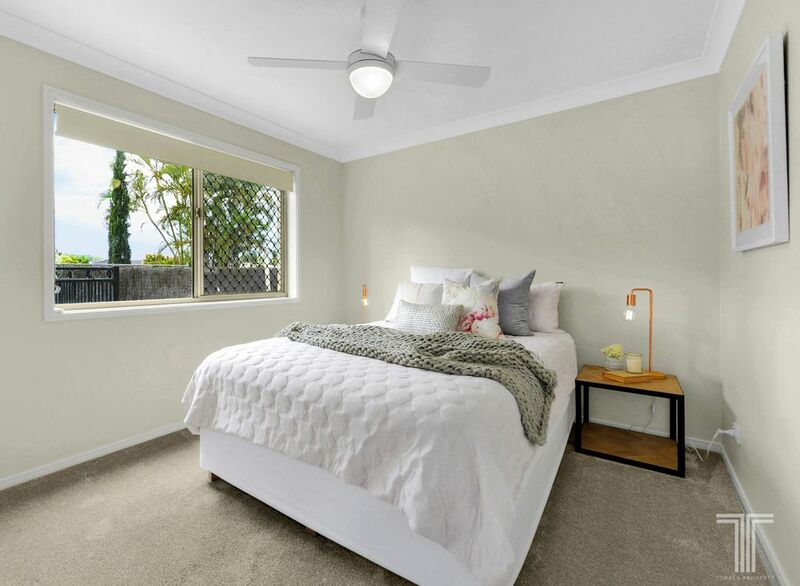 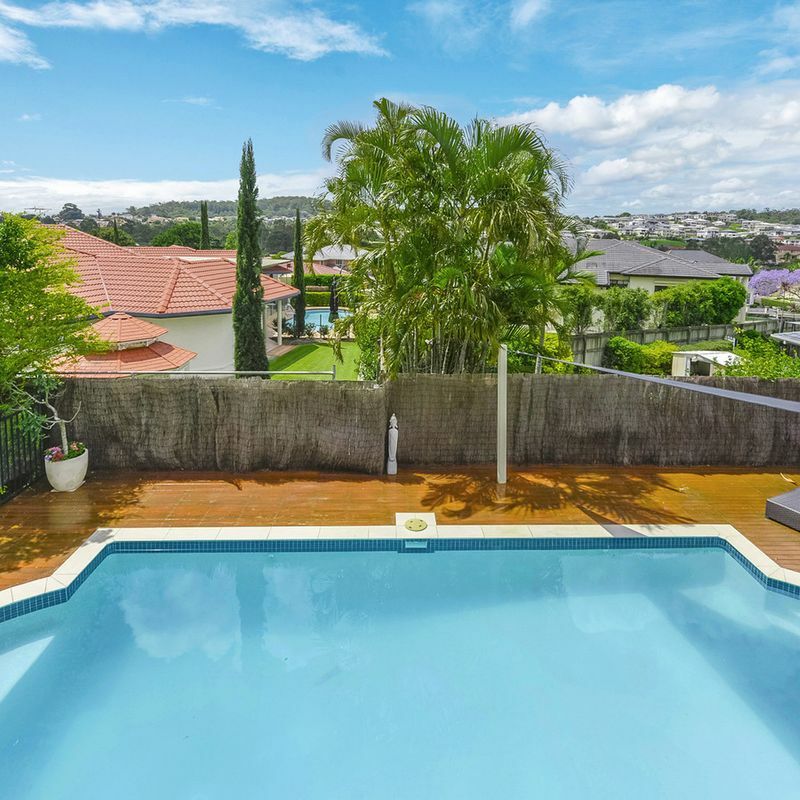 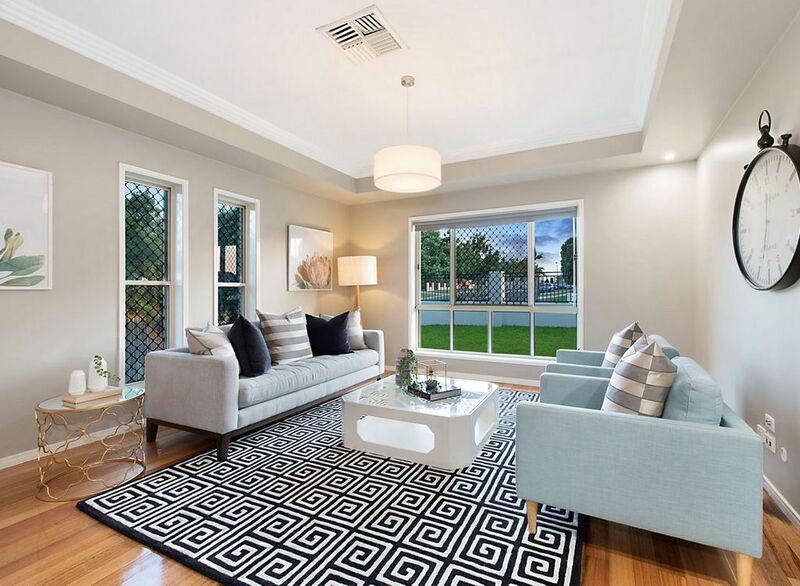 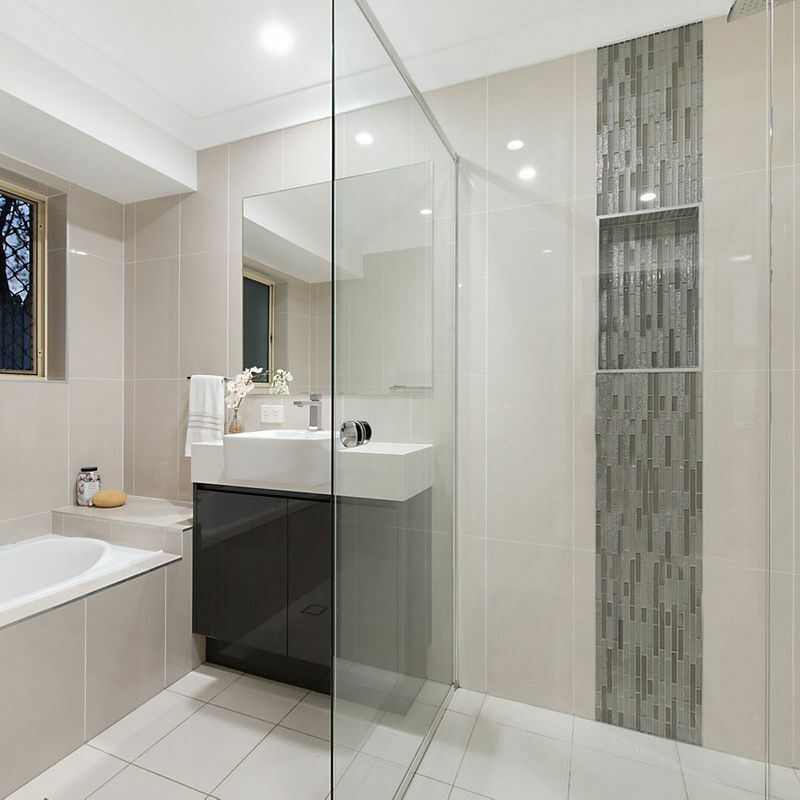 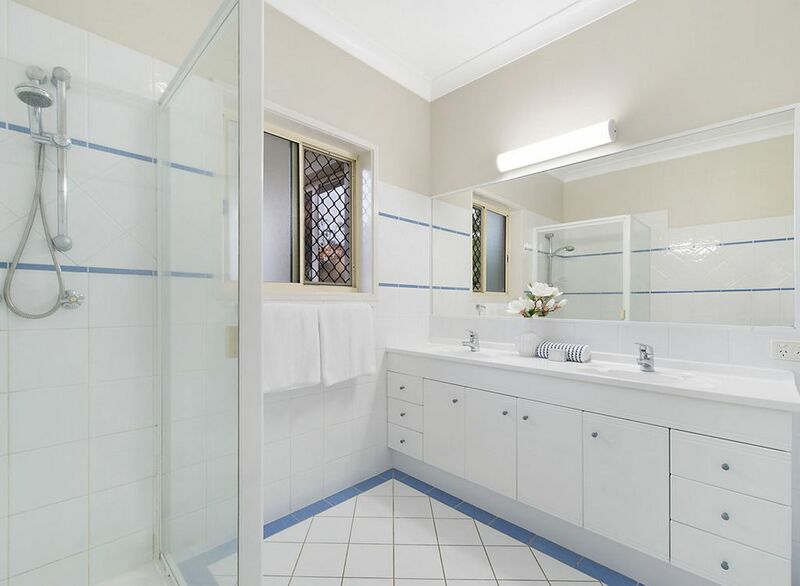 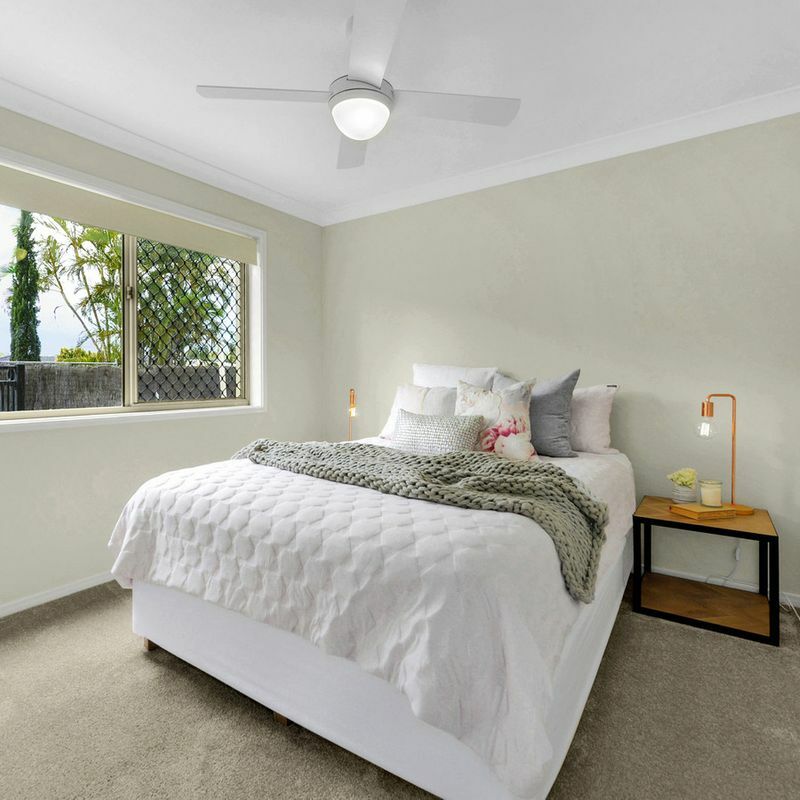 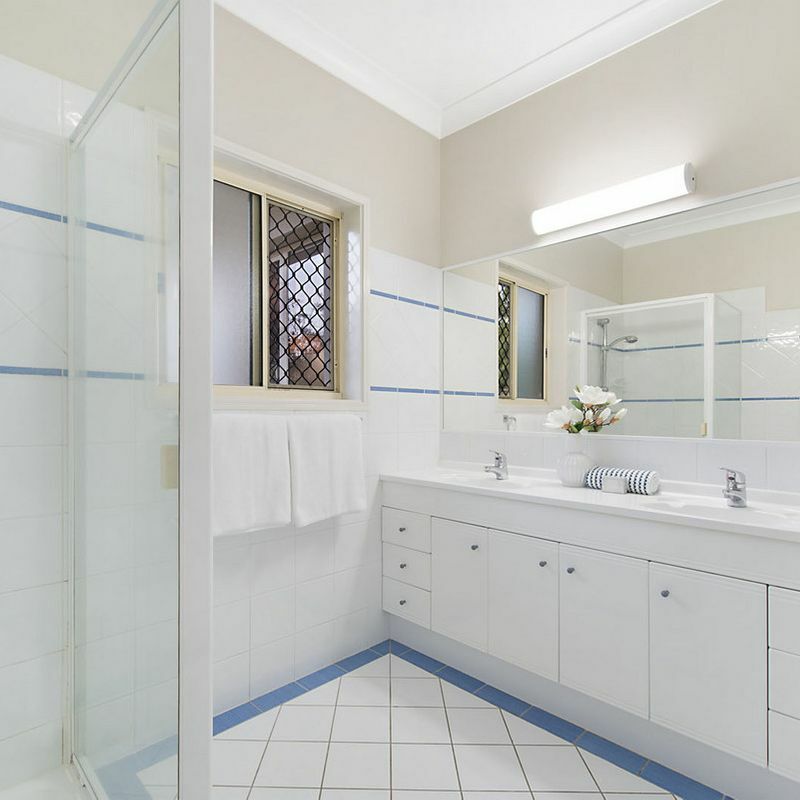 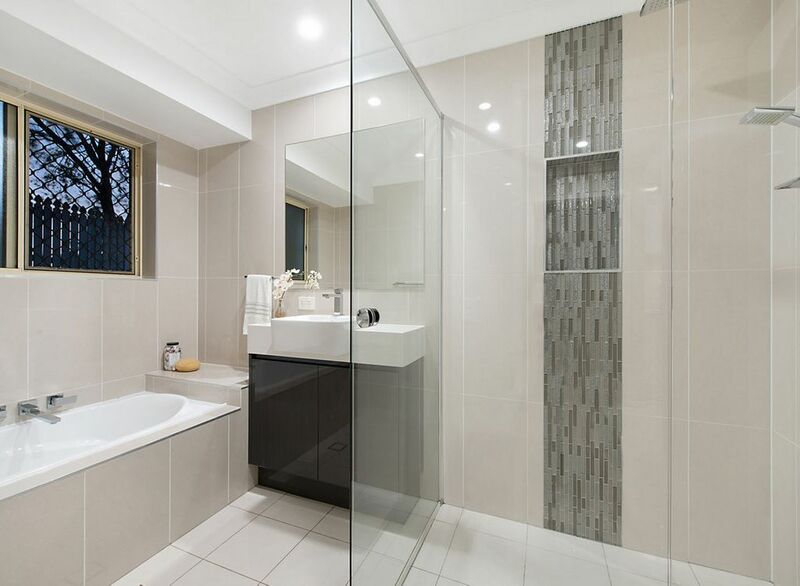 There is easy access to public transport, Belmont State School and Metropol Shopping Centre.